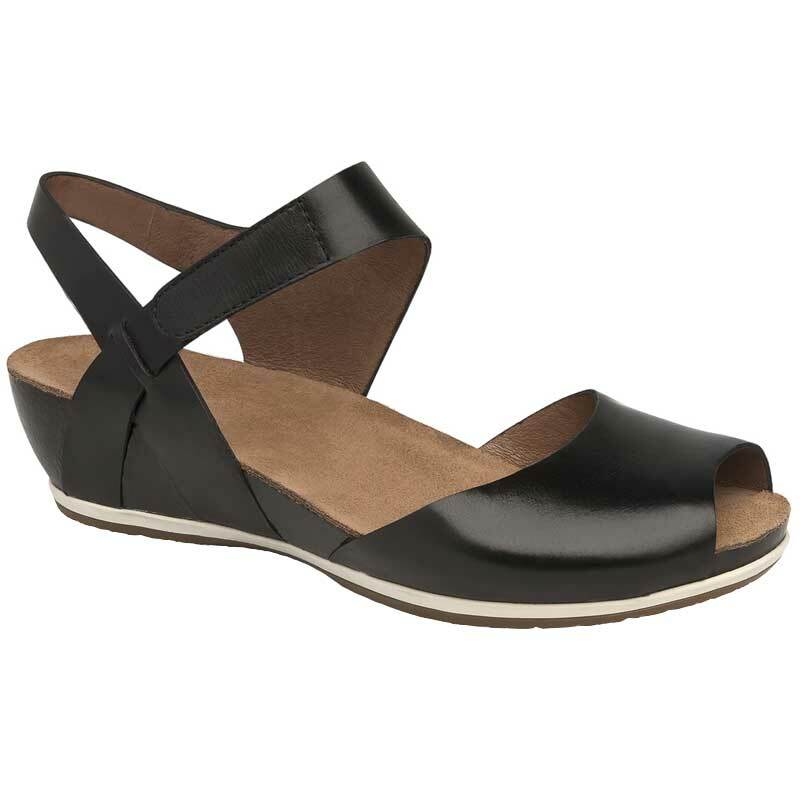 Look no further than the Dansko Vera for the perfect finish to any outfit. This women’s wedge sandal has an upper made of premium leather with leather linings and a soft suede socklining for underfoot cushion. A contoured cork wedge will provide a boost in height without sacrificing stability and a rubber outsole ensures traction on a variety of surfaces. For a secure and customized fit, the Vera has an adjustable ankle strap with a hook and loop closure. Enjoy your summer in Dansko comfort with the Vera sandal.